Choose the freshest cantaloupe you can to reduce the chances of spoilage once you get it home. 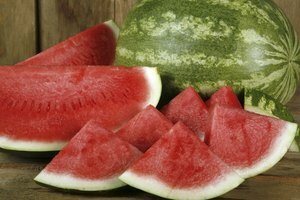 Look for melons with firm, tight skin and no soft bruises. 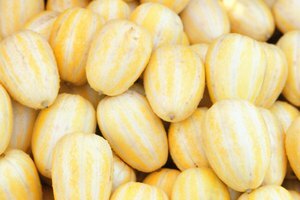 You want a melon with a mild fruity fragrance that feels heavy for its size. 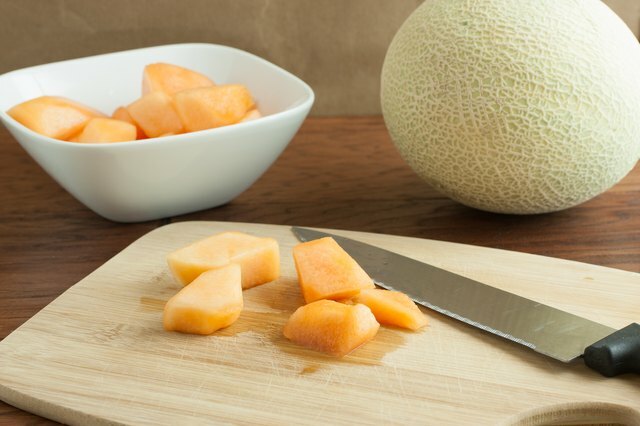 Uncut cantaloupe stays fresh at room temperature for two to four days, depending on its ripeness, and up to 10 days in the refrigerator. 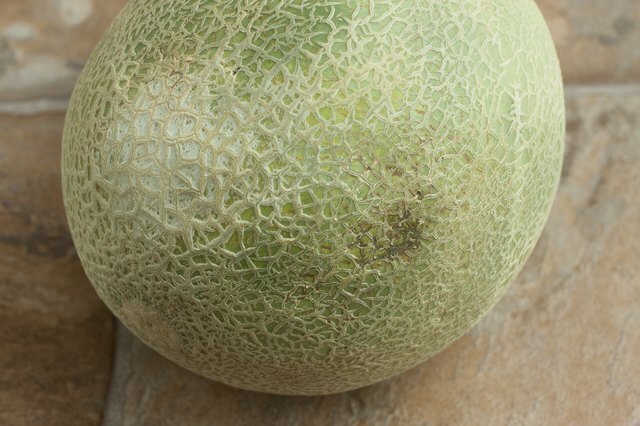 Near the end of those time periods, soft, squishy areas with dark bruises or splotches indicate that the cantaloupe passed its prime. A strong, unpleasant odor even before you cut it is also a sign of spoilage. 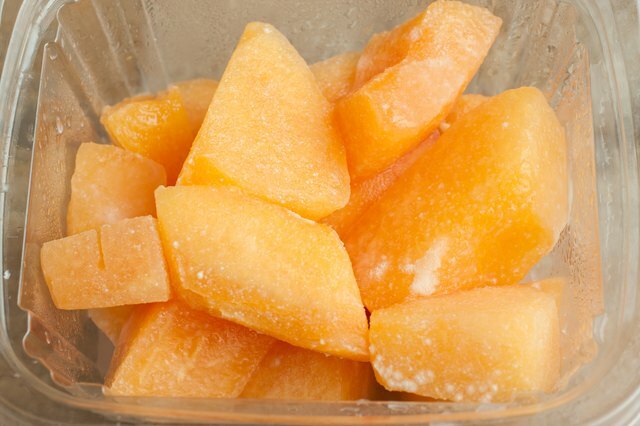 After three to four days in the refrigerator, cantaloupe can spoil. Signs of spoilage include a whitish, slimy film that you can see and feel on the surface of the flesh, soft sections of flesh that also appear whitish instead of orange, and an excess of liquid in the container holding cut-up, sliced melon. Throw away the entire cantaloupe if you see these conditions. 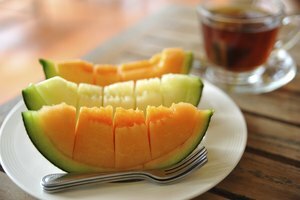 Fruit and Veggies More Matters: Cantaloupe: Nutrition. Selection. Storage.